← Why you better Cut the Crap: Service is the Old & New Gold. I was lucky enough to participate in a mindmapping workshop earlier this month. While the workshop explained the goals and usage of mindmaps, I just started “drawing” as I usually do during meetings and events. During the workshop it became apparent to me that mindmapping had specific rules. Result? Puzzled. Why should mindmaps follow specific rules? After all, they are just a means to an end. They are a way to structure thinking. Hence my view: mindmaps don’t have to follow guidelines, as the metamindmap above makes clear. Mindmaps with a twist are just as good as mindmaps following official guidelines. 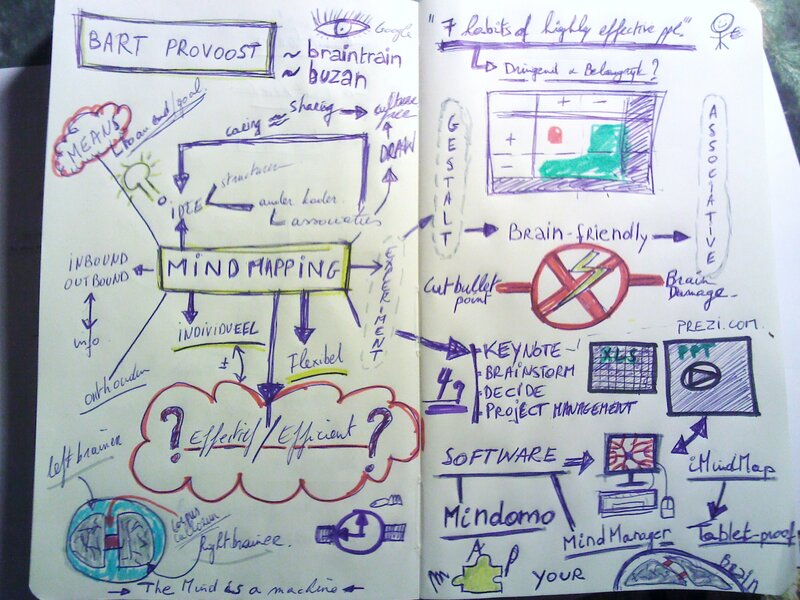 What do you think about mindmapping? Does it need to follow guidelines? What do you use it for? Do you make use of software? Or do you like pen and paper? 2 Responses to Metamindmap. With a Twist. thanks for sharing your experiences Sam. Wish you all the best in your math studies.